The record is stuck. 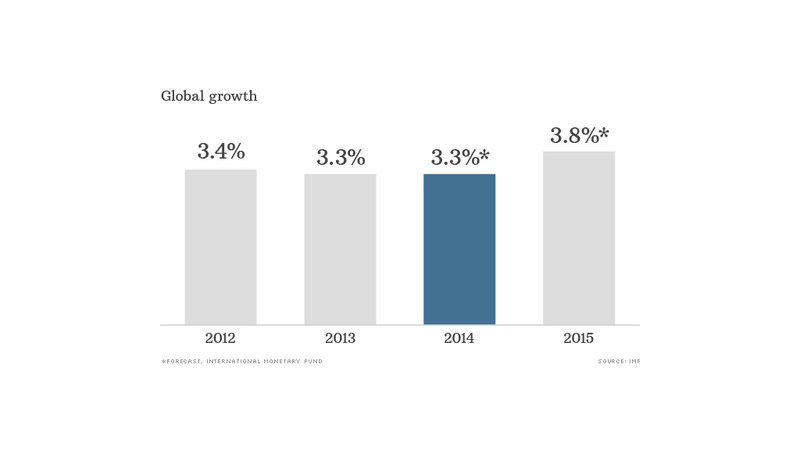 The world economy will grow by just 3.3% in 2014, little changed from last year, or the year before that. That's the latest forecast from the International Monetary Fund, which just six months ago was expecting that growth would accelerate to 3.7% this year. "World growth is mediocre, and a bit worse than forecast in July," the IMF said Tuesday. It also shaved 0.2% off its forecast for 2015. This is just the latest in a series of downward revisions over the past three years. Trillions of dollars have been pumped into the world economy in the form of cheap central bank cash, boosting stocks and bonds, and real estate prices. That's prompted warnings of potential bubbles and the risk they could burst. Yet many countries are still struggling to deal with the legacy of the global financial crisis. Unemployment in Europe is hovering just below record highs, debt is still rising in advanced economies, and expectations of future growth are being reduced. "These worse prospects are in turn affecting confidence, demand, and growth today," said IMF chief economist Olivier Blanchard. Turmoil in eastern Europe and the Middle East is adding to the feeling of fragility, even if the latter has yet to affect oil prices. Germany, Europe's biggest economy, is at risk of slipping into a third recession since 2008 due to the Ukraine crisis and weaker demand for its exports. German industrial production fell 4% in August, compared with the previous month. The IMF cut its 2014 forecast for eurozone growth to just 0.8%. It also slashed its outlook for Japanese growth this year to 0.9%, down from 1.6% in July. Brazil, which is in the middle of a presidential election, suffered the biggest downward revision of the emerging markets. 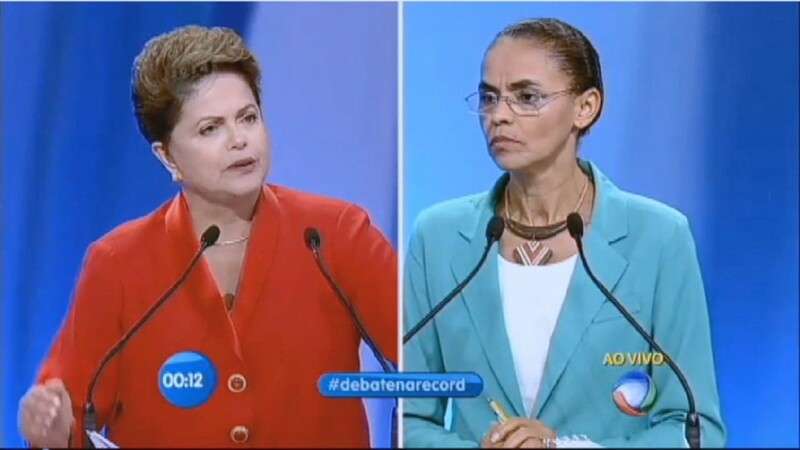 The IMF now expects Brazil to eke out growth of just 0.3% in 2014. There are brighter spots. The U.S. and U.K. are growing at a decent pace, although neither are expected to return to the rates of expansion seen a decade ago. And the world isn't ready just yet for central banks to turn off the taps. "So long as demand remains weak, monetary accommodation and low interest rates remain of the essence," said Blanchard.